Plenty of tours exist that showcase all Cleveland has to offer—but none quite like this one. From a boutique for curvy women to an upscale restaurant to a carpet cleaner to a vineyard, eight local businesses formed the itinerary for the Cash Mob/Passport Bus Tour held on Tuesday, April 24. The common thread? All of the businesses are owned by, staffed by, and support returning citizens (those making the transition from incarceration back to society). With more than 4,000 restored citizens returning home to Cuyahoga County each year from state and federal prisons, Bryant and her colleagues saw a clear need for strengthening the reentry system to help such citizens overcome barriers to obtaining employment, stable housing, adequate healthcare, quality education, and even the right to vote. Enter Reentry Awareness Week, which kicked off on Monday, April 23, and concludes tomorrow, April 27. Along with the bus tour, featured events have included a public safety dialogue, an “Opening Doors, Rebuilding Community” forum hosted at NewBridge Cleveland, a public meeting about helping returning citizens advance, and a resource fair which will be held tomorrow. 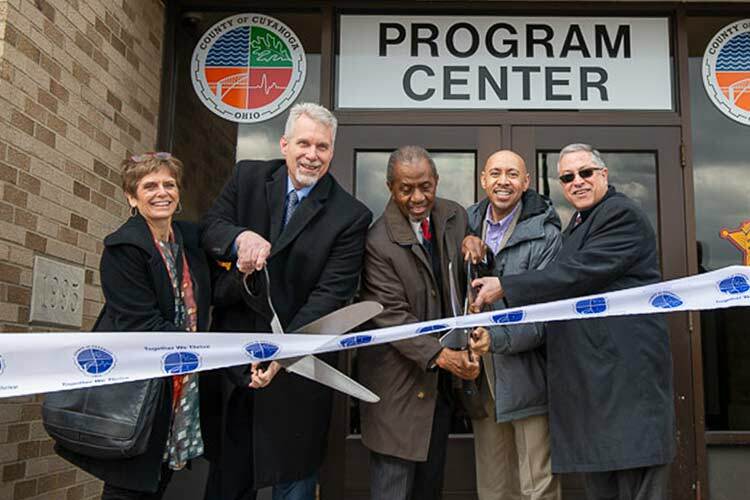 The goal of the themed week is to highlight the need for successful reentry, the community organizations helping to make it happen, and the improved outcomes for the county’s returning citizens. Community partners for the effort include Cleveland Neighborhood Progress, EDWINS, American Civil Liberties Union (ACLU), Reach Success, Housing Research & Advocacy Research Center, Lutheran Metropolitan Ministry, Towards Employment, Cleveland Leadership Center, Stokes Fellowship and The North Star Reentry Resource Center. "We're redrafting the message of what reentry is," says Bryant. "We're working to remove systematic barriers and create the best shot for men and women to have a new beginning. Reentry is about people." "Nearly every family has been touched by incarceration in one way or another," says Reentry Awareness Week participant Amanda Ernsberger. "A lot of times we want to forget about it, but we can't forget about it. It's a part of society that has to be dealt with." Ernsberger should know—she spent more than four years in prison and two years on probation due to crimes related to opioid addiction. A Mansfield native, she now lives in Cleveland, where she participates in Lutheran Metropolitan Ministry’s Chopping for Change program. 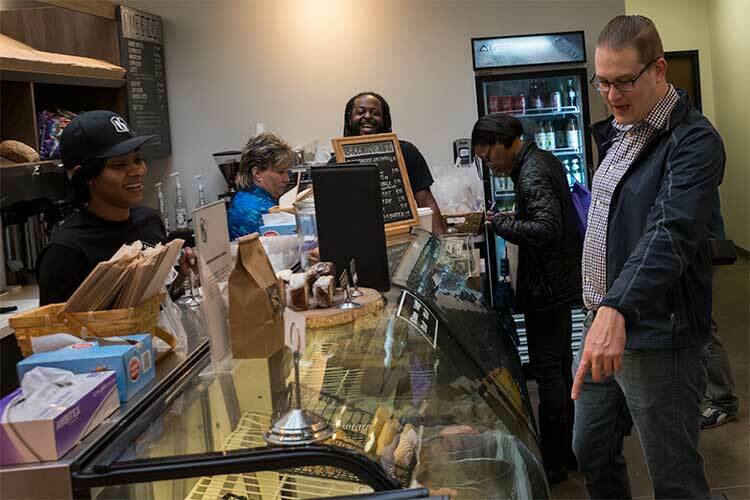 This two-year-old partnership between Cuyahoga County and LMM teaches culinary skills as a way to ease reintegration after incarceration, and recently opened the Comeback Café—staffed by returnees—in the Virgil Brown Building downtown. 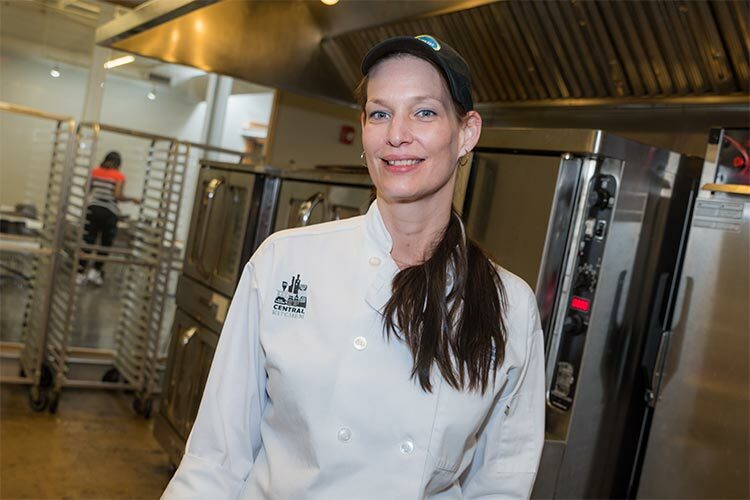 Ernsberger says Chopping for Change helped her enormously not only in providing culinary training, but in getting her connected with Great Lakes Brewing Company, where she still works. She praises GLBC for staying involved in the reentry initiative to help others like her. Her bright future includes sharing the rewards of success with her family who “did every day of my sentence with me,” including her now-teenage twins. Her ultimate goal is to obtain a Master of Nonprofit Organizations degree and work in the non-profit sector, or own and operate her own business. She is grateful for the second chance that Cuyahoga County’s reentry efforts provide—specifically the opportunity to obtain gainful employment in the food service industry: “[Here] in Cleveland, a lot of employers are open-minded, and willing to give second chances, as opposed to maybe some of the other areas in Ohio." The county took over the Euclid jail in 2014 to offer reentry programming for men there, but is “presently not able to offer this programming to females” due to lack of bed space, says Mills. 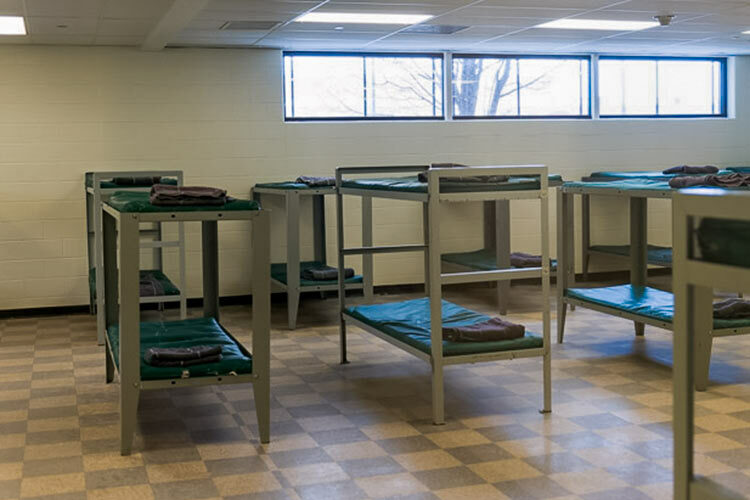 When the Bedford Heights site is up and running, he says, there will be space for 200 people available and all men’s reentry programming will take place there, freeing the 80-some beds at Euclid for female-focused reentry programming. One of Bryant’s goals includes being able to break down how many of those returning to Cuyahoga County are settling in specific cities and neighborhoods, but the Office of Reentry hasn't had that data to date. To that end, the office recently issued an RFP [Request for Proposals] to map where reentering citizens are settling within various parts of Cuyahoga County. “The community has a need for that information,” says Bryant. Ernsberger says she hopes the recent developments will create even more opportunities for those with criminal backgrounds. "These people are not bad people,” says Ernsberger. “They've made bad choices, but they've also served their time, and often all they need is that one person, that one opportunity to prove themselves."